Hi friends! I have a new challenge for you to participate in over at the Time Out blog. 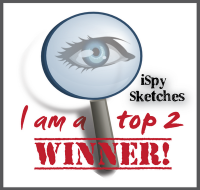 It's a CASE challenge and the photo below is the card we are CASEing. This lovely card is by Beverley Brown. 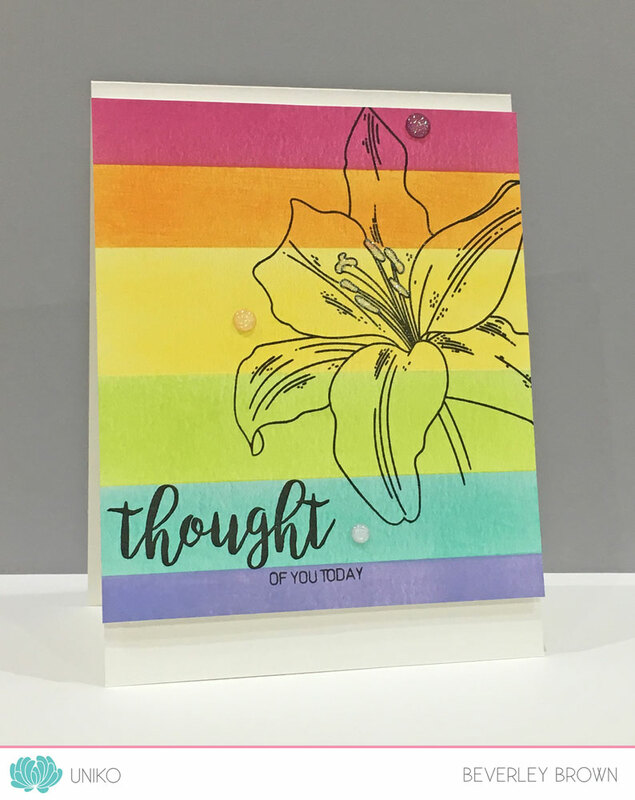 I just love the soft rainbow colors and those black accents from the flower and sentiment. 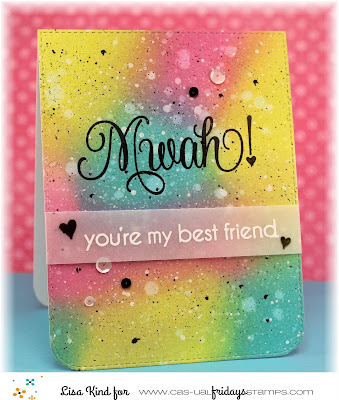 The thing that I noticed was the rainbow color palette, so that's what I used as inspiration for my card. I went to a Scrap and Stamp convention this weekend and bought some amazing stamps, dies, and other crafty things! I went with my stamping friend Cheryl and we bought the place out I think! 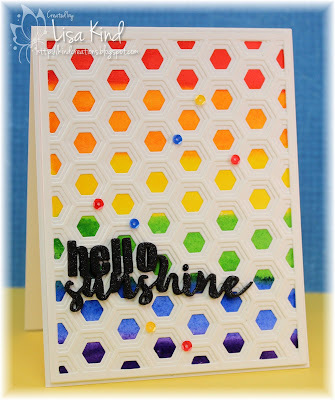 I got these layering dies from Honey Bee and die cut them from white cardstock. Since I was covering up a lot of the background, I wanted my rainbow to be bright so it shined through. Therefore I used the Gansai Tambi watercolor paints. They give such a bright opaque color. Love them! I added a die cut sentiment and placed it in the same place as Beverley's card. It was layered four times and I put some shimmer on top of it. Sequins finished off the card. I hope you play along with us this week. 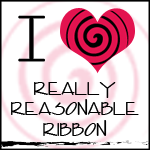 Beverley just happens to own Uniko and is our sponsor for this challenge. Stop by the Time Out blog to check out the prize and to see inspiration from the Time Out design team and guest Lucie. Hi everyone! It's Photo Week over at Just Us Girls and Maria has chosen this fun Hawaiian themed photo for us to be inspired by. I was so happy to see this photo because I could use this cool stamp set from Concord & 9th. I of course bought it because that girl named Jennifer McGuire (you know her, right? LOL!) used it in a video and it looked so cool I had to have it! She made it look so simple, but it took me at least four tries to get it (sort of) right. (I guess I cased her card too!) I stamped the pineapple in Versamark and embossed it in white. 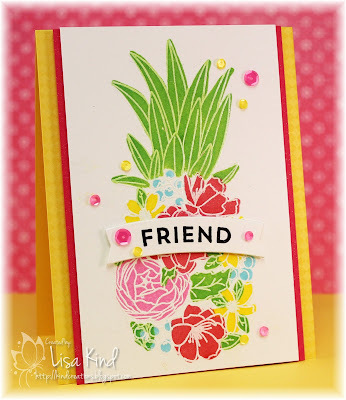 Then I used the coordinating stamps and my MISTI to stamp the fronds, flowers and leaves. I kept to the colors in the photo when I matted the stamped image and chose the base. I don't know if you can see it, but I stamped the yellow base with a background stamp and Versamark to give it some texture. I spritzed it with shimmer spray and added the sequins. The sentiment banner is on dimensional tape. You can see more from the JUGs design team and our guest, Darnell, on the JUGs blog. This is Darnell's last week with us and we'd like to thank her for being such a great guest this month! Hi friends! 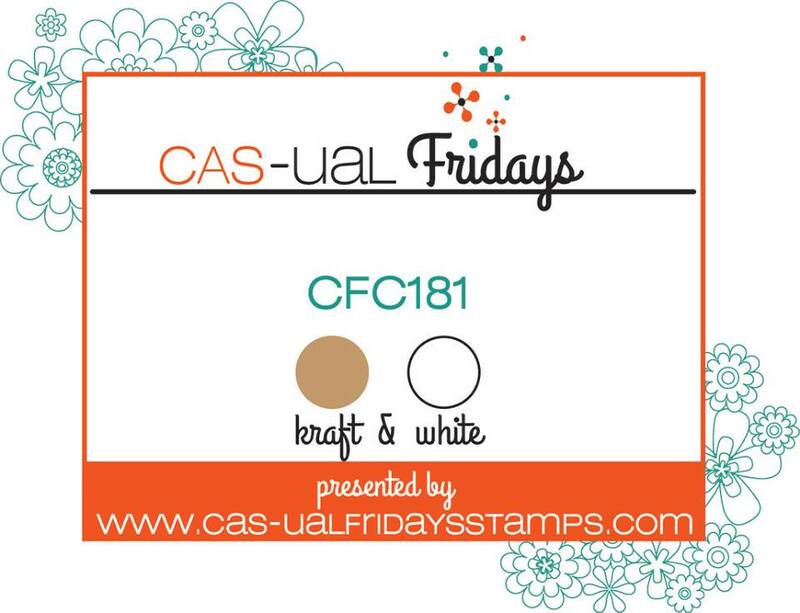 The CAS-ual Fridays challenge is up and it's a color challenge....kraft and white. 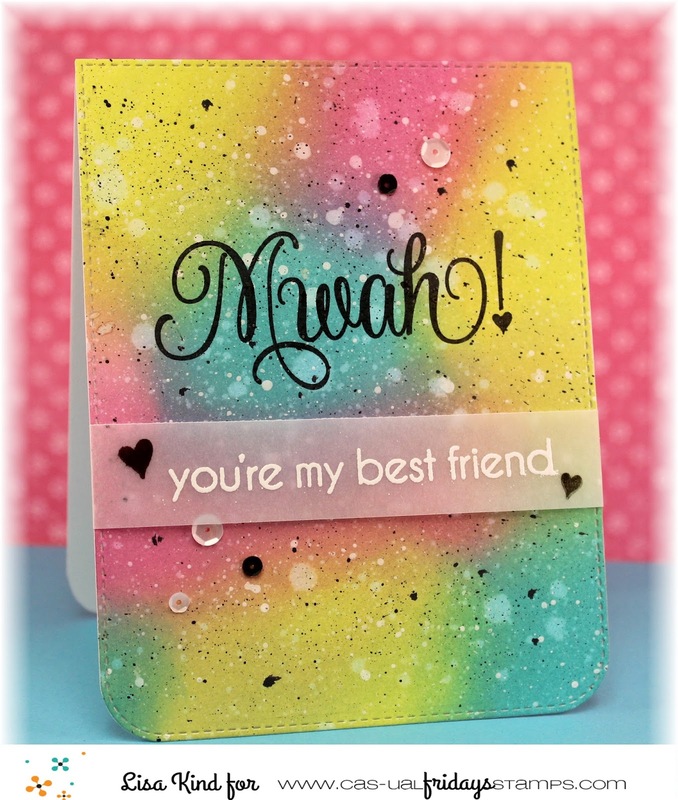 These types of cards are so fast and easy to create! This took practically no time at all! I started by die cutting a kraft cardstock with a pierced scallop die. 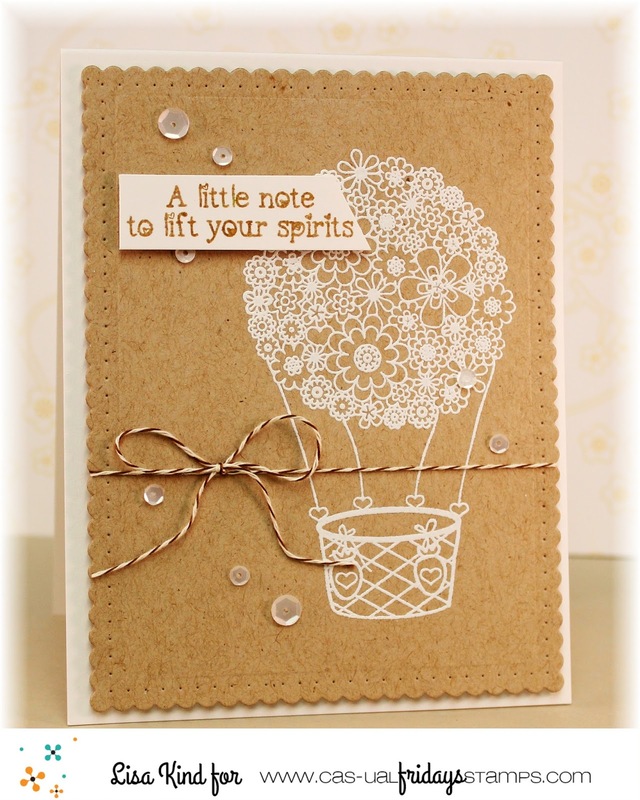 Then I stamped and embossed this cool floral hot air balloon in white. 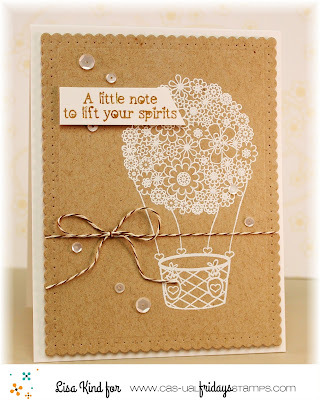 I stamped the sentiment with kraft ink and added the twine and white sequins. This panel is popped up on fun foam onto the white base. 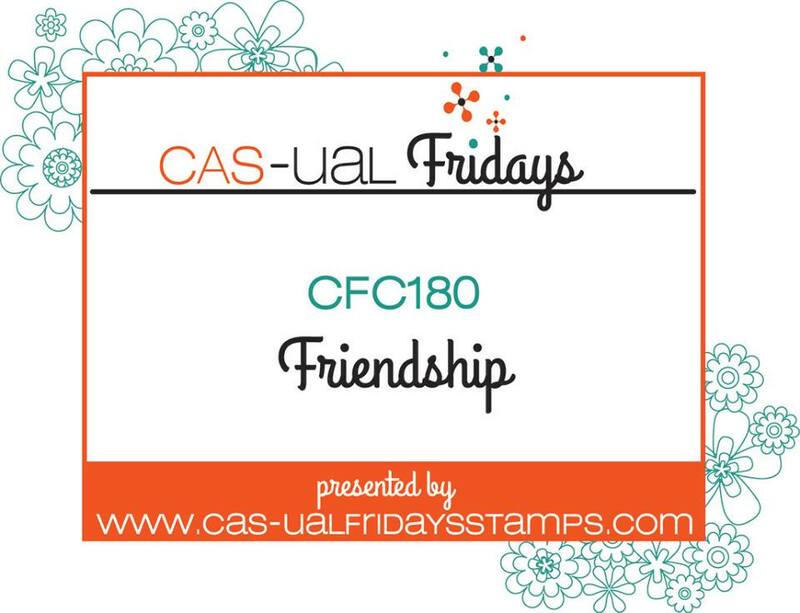 You can see more on the CAS-ual Fridays blog. Hope to see you playing along! Hi everyone! 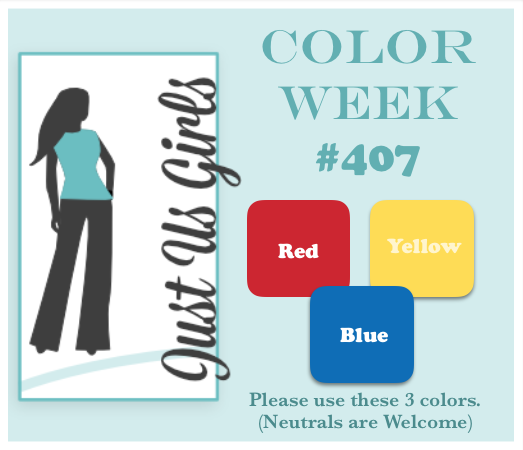 Look at the bright primary colors Sue chose for the Color Week challenge over at Just Us Girls! Here's what I did with them. 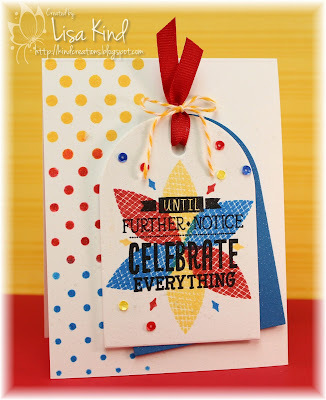 I was fortunate enough to get a Stamp of Approval box from Catherine Pooler Designs. It came in the mail today, so I thought I'd use a lot of the products from it for today's challenge. 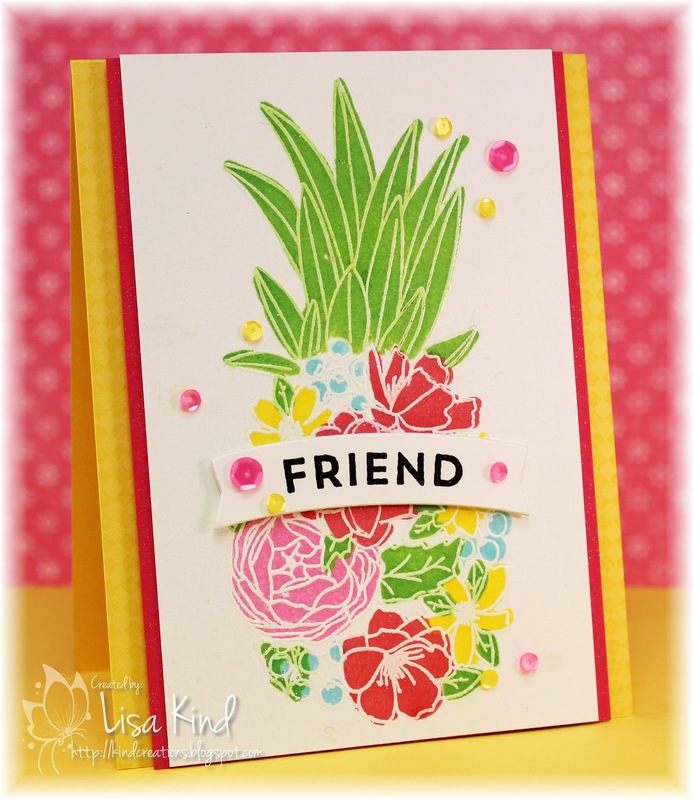 I took a leaf stamp and stamped in into a flower using the challenge colors on a tag die cut. 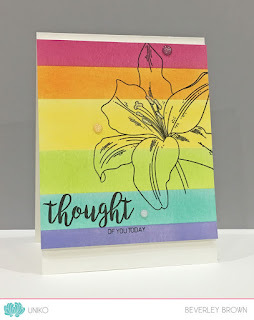 I love this sentiment and stamped it in black on top of the flower. I was just going to make the tag, but decided to put it on a card so I used a stencil and the inked up the three colors on the side. The tag was cut again in blue cardstock and layered behind the stamped tag. I added ribbon, twine, sequins, and spritzed it with shimmer spray to finish it off. Hi friends! The new challenge over on the Time Out blog is the Theme with a twist challenge. 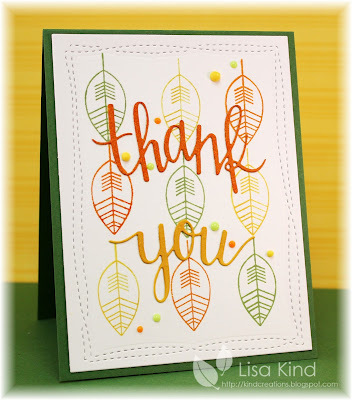 The theme is Autumn and the twist is to make your card in 10 minutes or less. THAT'S a challenge! Now I didn't time how long it took me to do this card, but it was under 10 minutes to create it. Thinking about what I was going to make and getting the supplies together was another thing! I started by die cutting the white panel with the wonky stitches die. Then I started stamping the leaves. I stamped the green one in the middle first, then stamped the others. I wanted the die cut words to match the inks, so I used the direct to paper technique then die cut the words. I wanted to stack the words, but to do that would have taken more time, so I just have one layer. I had to add some Nuvo drops too! This panel is mounted on a green base. 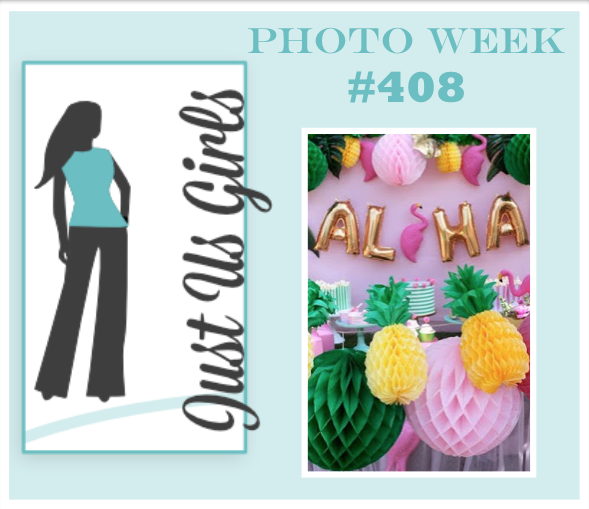 You can see more from the Time Out design team and our guest for this challenge, Elaine, on the Time Out blog. Hello everyone! 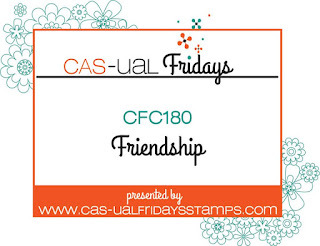 There's a new challenge over at CAS-ual Fridays and the word to be inspired by is FRIENDSHIP. CAS-ual Fridays just released four new stamp sets. The "mwah!" comes from the one called Puffy Heart Love. The font is so pretty! I started by creating a background using Distress Oxide inks on Bristol Smooth white cardstock. I spattered it with white and black paint then die cut it out. I stamped the sentiment on vellum in Versamark and embossed it with white embossing powder. The rest of the sentiment, "and there's nothing you can do about it!" is stamped on the inside (forgot to photograph it!). I added black and white sequins to finish it off. You can see more from the other Girl Fridays on the CAS-ual Fridays blog. Hi everyone! 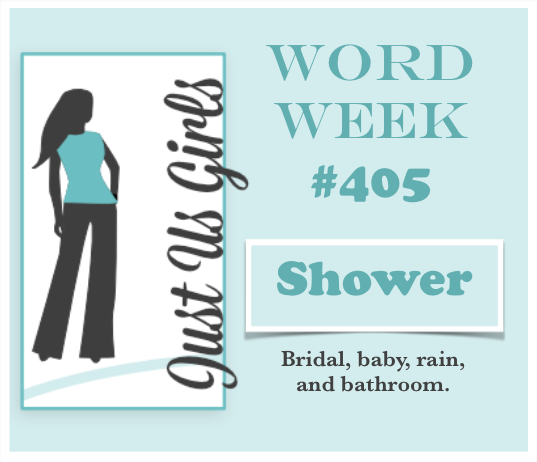 I'm the hostess at Just Us Girls this week, and for our Word Week challenge I chose SHOWER. 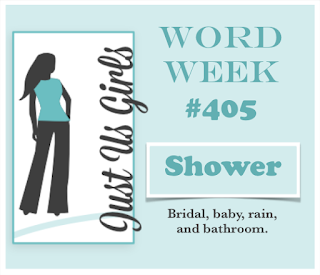 I chose this word because yesterday was my niece's bridal shower. She's getting married in September. Can't wait for that! So I needed a card for the bridal shower for my mom. The color scheme for the shower was Tiffany blue, gold, and white. So that's what I chose for the card. 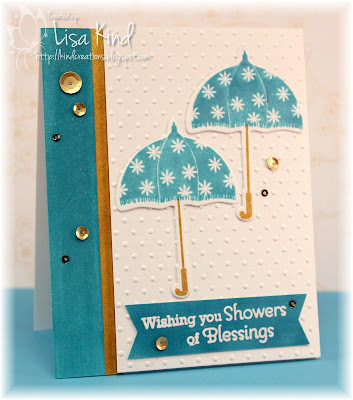 I started by die cutting the umbrella then stamping the top in Audrey blue and the handle in gold. I didn't have cardstock to match, so I took the ink cube and went ink to paper to create the blue strip on the left and for the sentiment. I did the same for the gold piece. I ran the white piece through a swiss dot embossing folder. The sentiment was white heat embossed and I finished off the card with shimmer spritz and gold sequins. My mom loved it! I hope you can join us this week. We are welcoming Darnell Knauss as our August guest! So happy to have her joining us! 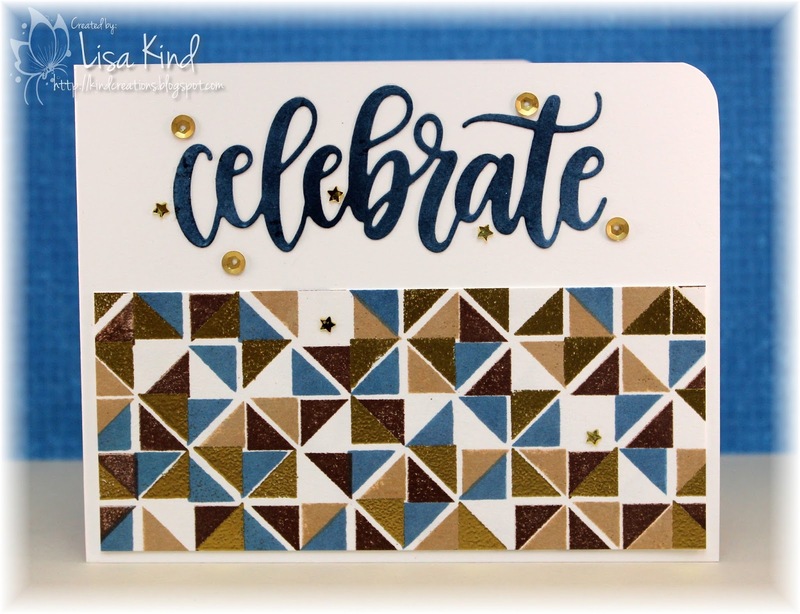 Stop by the JUGs blog to see more! Hi friends! 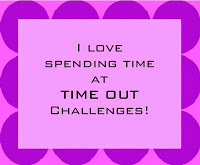 The new challenge at Time Out is up! 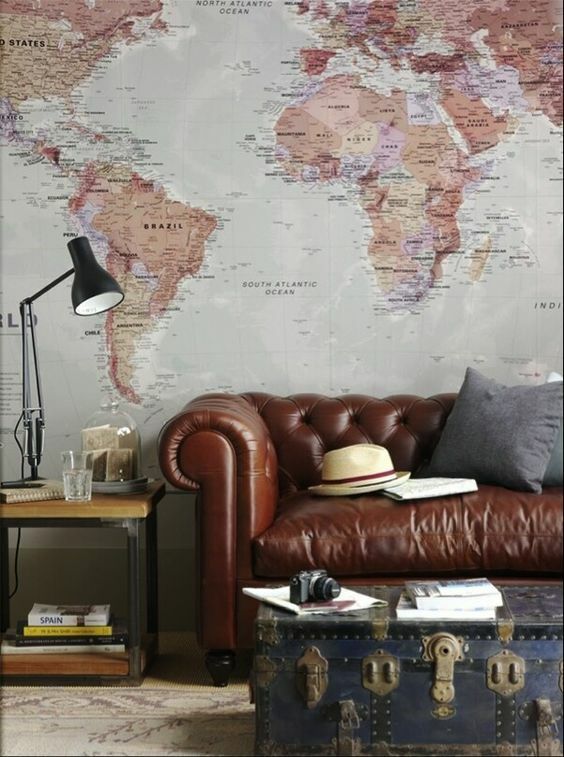 It's our Home Sweet Home challenge where we give you a picture in a home to be inspired by. Here's this challenge's photo. I love these colors! 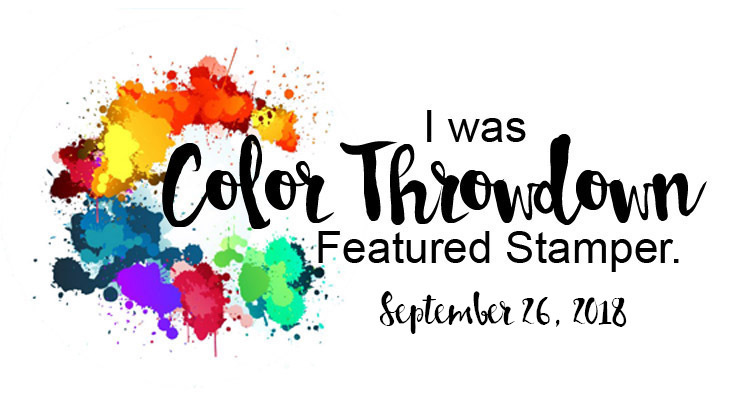 You can see more from the Time Out crew and our guest for this challenge, Trina, on the Time Out blog.